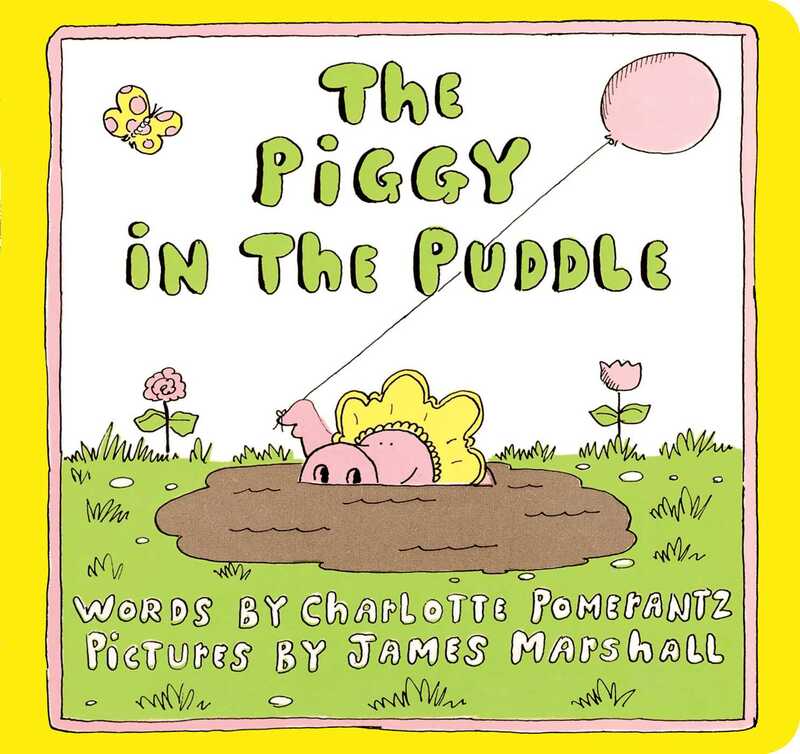 A determined little piggy absolutely refuses to leave her mud puddle in this rollicking Classic Board Book by Charlotte Pomerantz and James Marshall! Charlotte Pomerantz’s tongue-twisting nonsense verse—made even more exuberantly hilarious by George and Martha creator, James Marshall’s illustrations—is sure to delight both children and parents alike! James Marshall grew up near San Antonio, Texas, and became an award-winning author and illustrator of more than seventy books. He is best known for his series on George and Martha, the tons-of-fun hippopotamuses; on the mischievous exploits of Fox, a debonair, lazy showoff; and on the misadventures of the Stupid Family. He died in 1992.